Great works of science fiction, fantasy, adventure and more. Books available in paperback, large print, audiobook and ebook. Narration work on the audiobook edition of Serpent’s Keep Two - the Six Temples has completed and the title has gone into final production. The audiobook will be available on Audible, Amazon and iTunes by the end of April. Go to SK2 book page for release info and links. The Subscriber Page is up and running, offering subscriber-only access to specials and features. Online now are all seven episodes of Sisters in Space, presented in our online book reader, with much more to come. Subscribers will also receive our monthly newsletter, get first word and latest news on upcoming titles and events, and be automatically included in subscriber-only giveaways. More info and subscribe now on the Subscriber entry page. The dystopian science fiction / film noir title is out of pre-order and is available now in print and ebook! For more info and all the links, go to the Willow City book page or go directly to Willow City on Amazon. Signed copies and the Large Print edition available soon! Two paperbacks, one special price. Serpent’s Keep and Serpent’s Keep Two – the Six Temples in a bundle set discount. Go to Bundled Sets page now! The dark satire fantasy novella "KHDZ" has been picking up a few very nice reviews recently, the most recent coming from a goodreads reviewer. 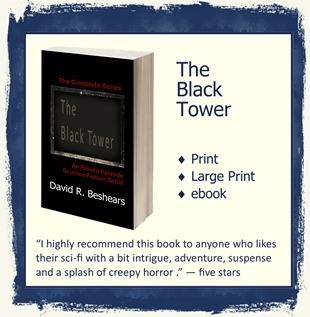 "If you like Neil Gaiman or Terry Pratchett you will enjoy this short book. I was chuckling along from the first couple of pages and the whole book kept me entertained." Check out KHDZ book page. Serpent’s Keep has received a 5 star review from Readers’ Favorite. The Readers Favorite website has won a number of awards for its work, and we’re proud to have received this review. Read the review at: Readers' Favorite Review, get more info on the SK book page.